Wayfinding is one of those words you've gotta love for describing just what it does: it helps you find your way. What exactly is wayfinding? The simple definition: wayfinding is directional signage or messaging that helps you navigate to a destination. More and more buildings today are being designed to the preferences of the Millennials, the generation born between 1981 and 1996: currently ages 22 - 37. 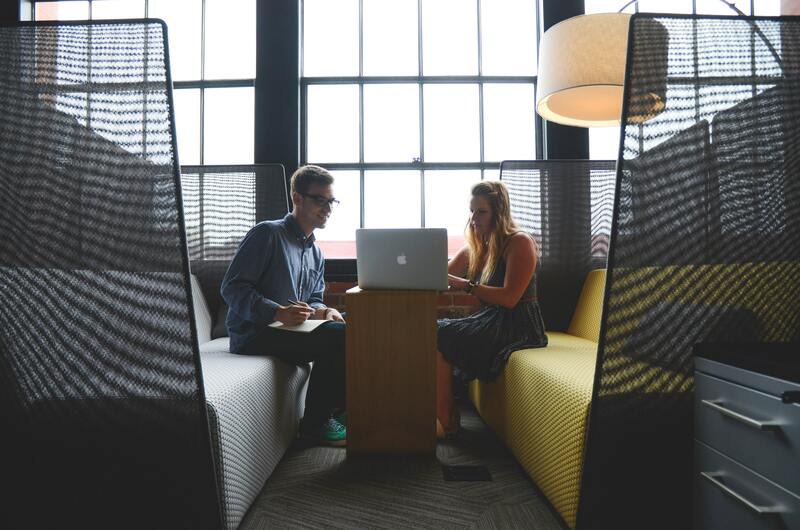 Meeting the demands of Millennials is on the rise in cities across the U.S., and now in select suburbs as.. In building construction, topping out is a builders' rite typically held when the last beam is placed atop a structure during construction. 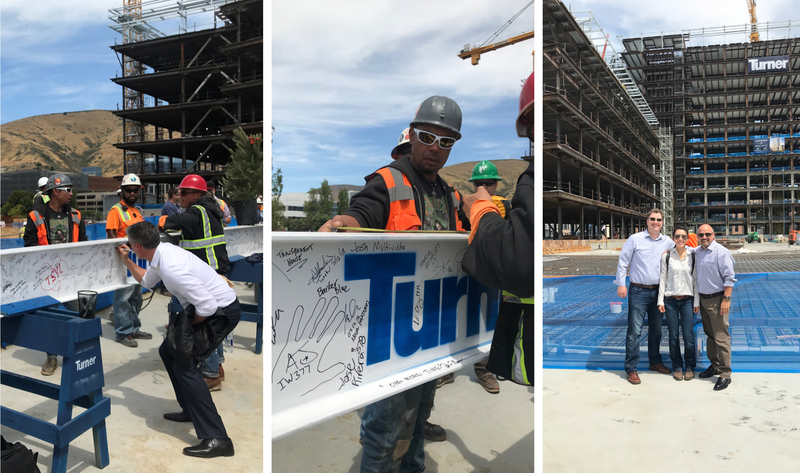 BarkerBlue recently joined BioMed Realty and Turner Construction in a "topping out" event to celebrate initial.. Ever notice epic companies take advantage of every impactful space to brand? 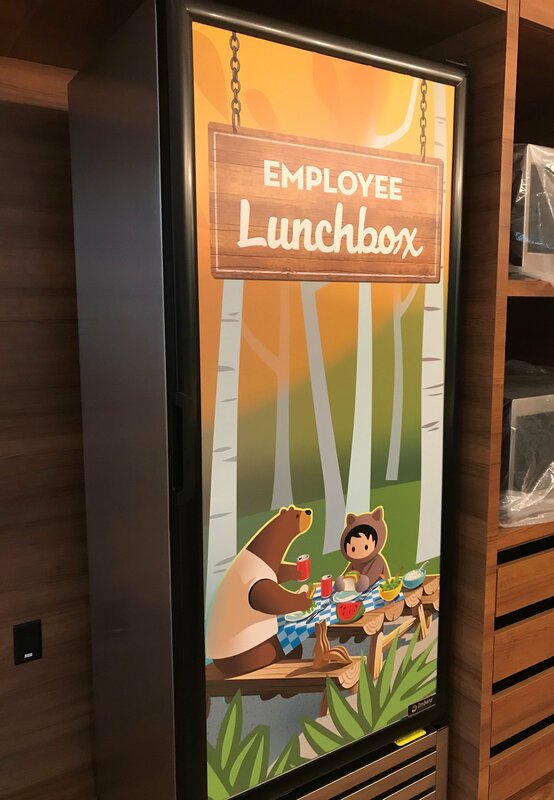 Innovative marketers know it helps to use both traditional and unique spaces to continuously remind everyone of their company brand. And why not combine that with a functional message..
We all know holidays are special days to recognize and commemorate important events and people. 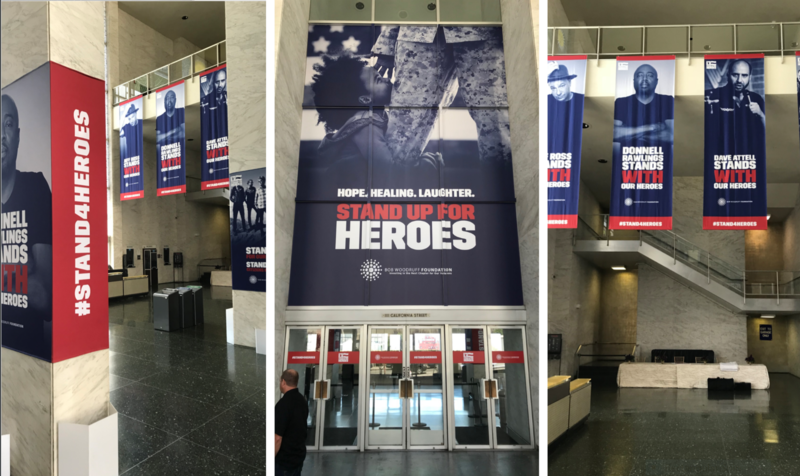 While those special days matter for sure, let's not forget that any day is a good day to remember and thank the heroes in our lives, particularly our veterans. 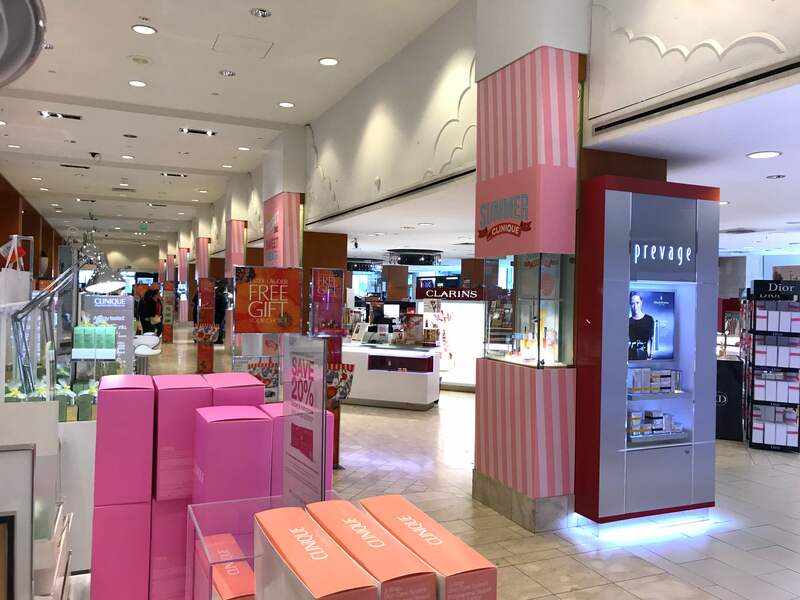 Clinique is ushering in Summer with fun, bright colors and products on display at San Francisco Macy's. 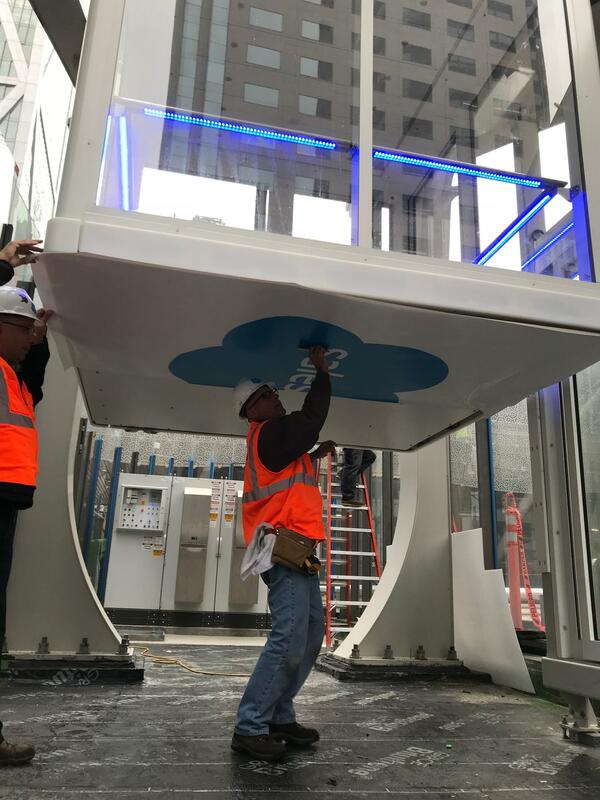 BarkerBlue helped create, produce and install Clinique's Summer displays including the vitrine-signs and other display systems, the large entrance display,..
PlanGrid launched its first Construction Summit last week to a packed house in San Francisco. 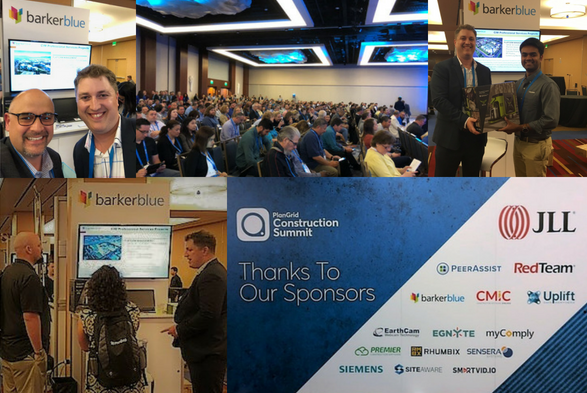 Over 750 people gathered to learn more from fellow industry professionals, and to hear about new version updates on PlanGrid's construction planning application. In case you missed it, this week marked the celebration of the Golden State Warriors 2018 win. The recent three-time NBA champions held their victory parade in Oakland with happy fans swarming their path along the way. Like many companies, Google recently donned Rainbow colors to celebrate Pride Month. 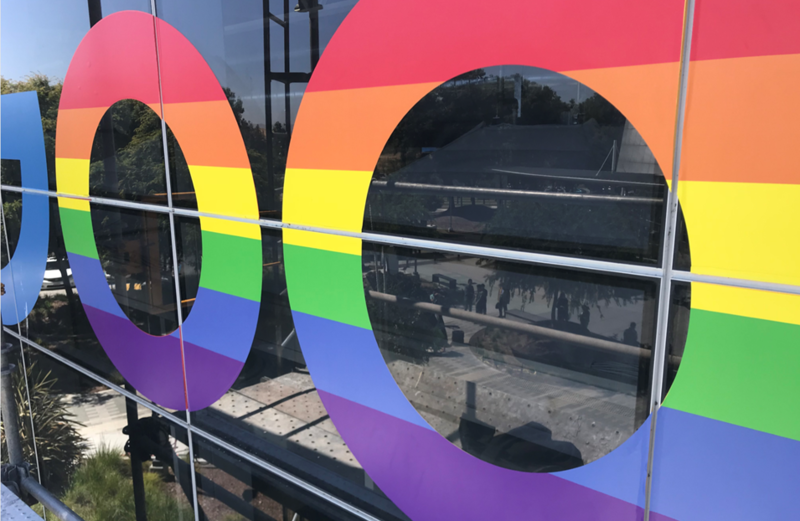 This included adding the multi-color spectrum to their large GooglePlex and Quad campus building signs. Pride Month is celebrated in June to honor the 1969 Stonewall riots in..